While some of those things are great for general fitness, and others are better suited for relaxation, the fact is that you are a fire athlete and must train as such. Search and rescue is as, or even more, intense than pro football at an energy expenditure of 16 METS (1). But there are a variety of aspects unique to firefighting that call for sport specific training and adaptations. Some of the obvious ones are the weight of our gear and the heat of a fire. One of the less discussed is the fact that your SCBA drops your VO2max by 14.9% (2). You are in almost 15% worse shape as soon as you start breathing through the SCBA! We all know the feeling. That is a specific effect of our sport that must be trained for accordingly to drive adaptation. We can all guess what would happen if we took a marathon runner and put him or her in bunker gear, strapped them in an SCBA, and put a charged 1 3/4” in their hands and pushed them into a burning house. As great of a runner as they might be, they will gas out in no time. How about the other end of the spectrum? Take the baddest dude in the gym, and do the same thing. Expect different results? Nope. Now, will they perform better than someone who sits on the couch watching TV all day? Absolutely. They at least have a decent base layer of fitness, but they are not conditioned for a fire. How about this one – haven’t we all seen the salty old vet that looks like he left his best days in the 1980’s smoke a young fire academy hero on the fire ground? Or have you been the one wondering how he is being outworked by guys his dad’s age? I have. It is because over years of experience they have become fit for the fire; likely because they fought enough fire to drive those adaptations. The problem is when they don’t, then they become a preventable piece of a tragic puzzle. It is now a well-known fact that every year the #1 killer of firefighters is stress or overexertion causing sudden cardiac death. Clearly, something is missing. If our sport is fighting fire, our training must match that. Leading that research, Dr. Jim Brown, Director of Firefighter Health & Safety Research at Indiana University – Bloomington, states, “Development of an effective physical training program begins with the identification of demand levels a job or event presents (3).” What demands does our job present? Let’s get back to other sports for a moment. Without cheating, name all the two-sport professional athletes you can think of. Deion Sanders and Bo Jackson. Any others? Why so few? Because even athletes with the greatest natural gifts have to devote nearly 100% of their time focused on training for their specific sport, or else they just will not succeed. How about the failures? The greatest-basketball-player-of-all-time Michael Jordan failed at baseball. The “Round Mound of Rebound” Charles Barkley famously looks like a broken screen door trying to swing a golf club. NCAA champion wrestler and WWE champ Brock Lesnar could not hack it on the defensive line in the NFL. The list goes on and on. The point is that sport-specific adaptations do not cross over easily. Now think about my earlier example: a marathon runner fighting fire. How successful will they be? A boxer’s first priority is sparring. Everything else is secondary. Why? Because they become conditioned for the sport they compete in by becoming more skilled at the sport. At the same time they learn the valuable, sport-specific adaptations – like how to eat a punch and not fall down. Road work, weights, and everything else is secondary to training in the ring. It supplements the functional training. You might be wondering how we become functionally fit to fight fire, or how to “practice how we play”. After all, we can’t just go around lighting off houses and dragging hoses into them to get in shape. I personally believe a base layer of strength and cardio conditioning come first. So if you are not there yet – start slowly, and start today! Fitness is a life-long pursuit, not once-a-year getting ready for swimsuit season event. Especially when your life depends on it, even more so when the man or woman going in the fire with you depends on it as well. What we want to do is mimic the stresses and movements of the fire ground as closely as possible. So how do we do that? We push, we pull, we crawl, we lift, and we drag. You know the movements, you have done them all in burning structures – you just have to translate them into an organized, progressive program! Sandbags are a great tool for keeping weight off balance and building true strength. Kettlebells are extremely functional. Hose drags and dummy drags are direct simulations of things that we do. Anything going up stairs carrying weight will be brutally effective (emphasis on brutally). Tire flips and battle hoses make great stations for rotating a crew through. 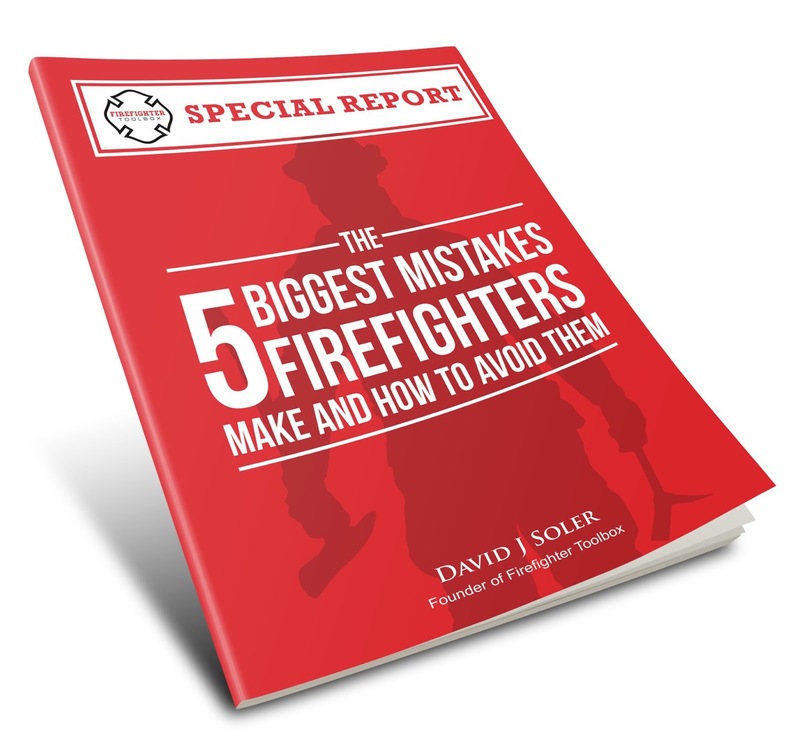 I know there is a great book Firefighter Functional Fitness that will cover this in more detail than I ever could, so look for guidance from the experts. Another piece of the puzzle is how closely to simulate fire ground conditions. Should we train in bunker gear? Should we train in SCBAs? Some skills need to be done in full gear from time to time; it is necessary. We have to work at maximum output for prolonged periods in very specific equipment – there is no way around that. The range of motion and body-heat-trapping effects of our gear can be paralyzing if not prepared for. The SCBA has known physiological and psychological effects that build on each other. There is no option but to train frequently enough in full equipment to be fully ready to go to battle in that gear. But with all the known cancer risks, is it worth doing daily or regular conditioning in dirty gear? What about taking equipment out of service to train, and not having it ready to respond? Well, that is in fact one of the benefits of functional fitness – it mimics what we do closely enough that it readily translates. That is what makes it functional. And there are a variety of functional simulation tools designed to take the place of that dirty gear. There are sandbags to replicate gear weight and training regulators to simulate the SCBA breathing sensation . Use old hoses for dragging. Go get an old tractor tire. Grab a sledgehammer off the truck. Your simulations are only limited by your imagination – or just check social media or other articles here for 1,000 ideas. Use what you can, when you can, and weigh the risk vs. reward. Above all else, get started now. Today. It will take all of us to reverse the appalling trend of preventable line of duty deaths. Eves ND, Petersen SR, Jones RL. The influence of the self-contained breathing apparatus (SCBA) on ventilator function and maximal exercise. Canadian Journal of Applied Physiology. 2005; 30:507-19. Brown J, Stickford J. Physiological Stress Associated with Structural Firefighting Observed in Professional Firefighters. Firefighter Health & Safety Research & Department of Kinesiology of Indiana University, Bloomington, IN, 2009.